Welcome to the monthly Health and Human Rights Media Watch. Members of the Health Advisory Council monitor relevant organizations and websites and compile a list of important news and issues which are summarized here. These newsletters will be posted on our website and archived as a resource. If you wish to join this effort, contact alicerothchild@gmail.com. Please feel free to share the newsletter with your colleagues and communities and encourage them to join the JVP Health Advisory Council. Thanks to all who have contributed! There are a number of excellent graphics in this month’s selections. Water pollution is main cause of morbidity and mortality in Gaza. A four year study by the RAND Corporation reveals that more than a quarter of illnesses in Gaza are caused by water pollution, and this is now the main cause of mortality. The collapse of water infrastructure has led to a sharp rise in germs and viruses such as rotavirus, cholera and salmonella. Over-pumping and lack of repair to infrastructure are the causes of the water crisis; the solutions are obvious but politically unlikely. The over-pumping of water and the repair and expansion of the water infrastructure and the expansion of the sewage system in the Strip has long been acknowledged as the cause of the water crisis. The logical and immediate solution of channeling massive quantities of water from Israel to the Strip has not been part of the solution. Had there been political will on Israel’s part, channeling water to the Strip could have been presented as partial and fair compensation for the significant quantities of water that Israel pumped and still pumps in the West Bank, for Israeli citizens and the settlements. The deaths of over 200 Gazans with almost 23,000 injured since 3/30 constitutes a violation of international human rights law. Since 30 March 2018, the Gaza Strip has witnessed the deaths of at least 217 demonstrators and the wounding of 22,897 with one Israeli death and 40 injuries. These have occurred in the context of mass demonstrations and other activities along Israel’s perimeter fence with Gaza, “Great March of Return”, as well as during hostilities. The large number of casualties among unarmed Palestinian demonstrators, including a high percentage of demonstrators hit by live ammunition, has raised concerns about excessive use of force by Israeli troops. Despite the fact that the protesters were mostly unarmed civilians and did not in most cases pose a credible threat, the Israeli forces met them with lethal force, including by live fire and explosive bullets as well as toxic gas and tear gas. Israel’s response to protests violates the principles of international human rights law. Additionally, hundreds of Gazan health workers have been injured and three killed by Israeli forces. Since 30 March, hundreds of Palestinian health workers have been injured and three killed in Gaza by Israeli forces using live ammunition, tear gas, and rubber bullets. Medical Aid for Palestinians is calling on the UK government to protect health workers. They note that international humanitarian and human rights law prohibit the targeting of health personnel and infrastructure in belligerent occupation as imposed by Israel on the West Bank and Gaza. OCHA (UN Office for the Coordination of Humanitarian Affairs) provides a graphic of the humanitarian crisis in Gaza. OCHA provides an excellent snap shot of the unprecedented humanitarian crisis in Gaza, impacting the livelihoods and access to essential services by its two million residents. This crisis has been driven by over 11 years of an Israeli blockade and an unsolved internal Palestinian divide, exacerbated since March 2018 by the massive increase in Palestinian casualties in the context of demonstrations taking place near Israel’s perimeter fence, as well as limited escalations in hostilities. Indicators include: electricity, fuel, water, sanitation, hygiene, health, protection, food security, macroeconomics, shelter, and education. Israeli restrictions are major obstacles to health for Gazans. The World Health Organization (WHO) confirmed in its annual report, “Right to Health: Crossing Barriers to Access Health in the Occupied Palestinian Territory 2017,” [link to pdf] that Israeli restrictions were the major obstacle to health access for Gaza patients. The report by WHO outlines key indicators for monitoring the right to health in the occupied Palestinian territories and gives detailed analysis of the barriers to access for some of the most vulnerable Palestinian patients who require permits to access specialized health care. Antibiotic resistance rising in Gaza. Antibiotic resistant infections are a certainty in Gaza: poor infection control, irrational prescription practices, and easy antibiotic availability are widespread, and previous outbreaks of antibiotic resistance have been documented. Additionally, laboratories lack reagents for identifying bacteria, guidelines for antibiotic sensitivity testing, and quality control procedures. Bone and tissue cultures are usually impossible. Adding an overwhelming number of surgical cases to this context, where the health system was already in crisis before the most recent violence, risks creating an epidemic of antibiotic resistant infection. UNRWA staff in Gaza threatened by funding cuts. The cuts in UNRWA funding by the US are not only affecting services and local staff, but protests against the agency have raised concerns about the safety of foreign staff as well. 20% of Gazan patients denied permits to leave for care have cancer. A fifth or 20% of medical applications submitted in August by patients in the besieged Gaza Strip to leave for medical treatment in East Jerusalem or Israeli hospitals that were denied by Israel were for cancer patients, according to a monthly report by the World Health Organization (WHO). Several Palestinian patients have died while waiting for an Israeli permit to get life-saving treatment that is not available in Gaza. Ministry of Health launching naval paramedic team. The Palestinian Ministry of Health in Gaza announced that it is prepared to launch its first ever naval paramedic team. The spokesperson of the ministry said that this new step shows the dedication of the medical teams and their ability to achieve all means to secure the lives of peaceful protesters in the Naval March, sponsored by the National Committee to Break the Siege. The 11th Naval March would set off, on Monday 10/22, towards the northern borders with Israel. Herzallah to co-author international report on mental health. Dr. Mohammad Herzallah, founder and director of the Palestinian Neuroscience Initiative at Al-Quds University, was selected among 30 scientists to co-author a comprehensive scientific report as a part of the Lancet’s Commission on Global Mental Health. Dr. Herzallah, the only Lancet commissioner from the Middle East, said the main objective of the Commission report is to redefine mental health practices globally and outline a blueprint for action. Through the Palestinian Neuroscience Initiative at Al-Quds University, Dr. Herzallah’s research explores the neural correlates of psychiatric disorders in Palestine. Btselem infographic measures impact of occupation. This infographic from Btselem, updated monthly, gives statistics by region on arrests, raids, and “flying” checkpoints in the Occupied Territories – a measure of the impact of Israeli policies on Palestinians’ daily life. Jerusalem mayor plans to remove UNRWA from East Jerusalem. UNRWA, the UN agency responsible for providing life-saving services to 5 million Palestinian refugees across the Middle East, released a statement expressing its deep concern over statements made by the Israeli Mayor of Jerusalem Nir Barkat on plans to remove UNRWA from East Jerusalem. Palestinian social workers and psychologists condemn IARPP plans for conference in Israel. The Palestinian Union of Social Workers and Psychologists, representing 20-25,000 members has issued a formal statement on October 1, 2019 condemning the decision of The International Association for Relational Psychoanalysis and Psychotherapy (IARPP) to hold its 2019 annual conference in Israel. They add their voices to petitions signed by members of USA-Palestine Mental Health Network, the UK-Palestine Mental Health Network, Jewish Voice for Peace, Israeli clinicians who are members of Psychoactive and another signed by a group of Palestinian mental health clinicians who are citizens of Israel. Funding crisis after cancellation of US aid. After the cancellation of most US aid for Palestinians in the Occupied Territories, only $159 million of a requested $539.7 million has been received for the 2018 Humanitarian Response Plan of the UN Office for the Coordination of Humanitarian Affairs. Local NGOs are not the only ones affected. Cuts to USAID’s budget for the Palestinian Territories have also resulted in severe cuts for international NGOs. The available aid has mostly gone to short-term needs and emergency response projects. The funding crisis is particularly devastating in the Gaza Strip, where humanitarian officials say basic services such as education, health, and food security have been reduced to a minimum. WHO on barriers to health care. More documentation by the World Health Organization on the barriers to adequate health care for Palestinians under occupation. Btselem’s Executive Director addressed UN Security Council. Hagai El-Ad, the Executive Director of Btselem, addressed the UN Security Council on October 18th. He recounted the number of Palestinians killed by Israeli security forces since the last time he spoke before the Council two years prior (317), the number of Israelis killed by Palestinians (13), the number of Palestinian homes demolished (294), and much of the other fallout from the Occupation. He noted that “the status quo” is how it is described, but it is all policy driven, and little of it has a relationship to security or internal, domestic matters, as Israel insists. He called the forcible transfer of protected people in an occupied territory (eg, Khan al-Amar) a “war crime” and noted the complicity of the Israeli High Court justices in this crime. He stated “I am not a traitor nor a hero” and lauded the real heroes, the Palestinians who endure the occupation with courage and perseverance. Addameer: Prisoner Watch and Human Rights Association highlights human rights violations for political prisoners. 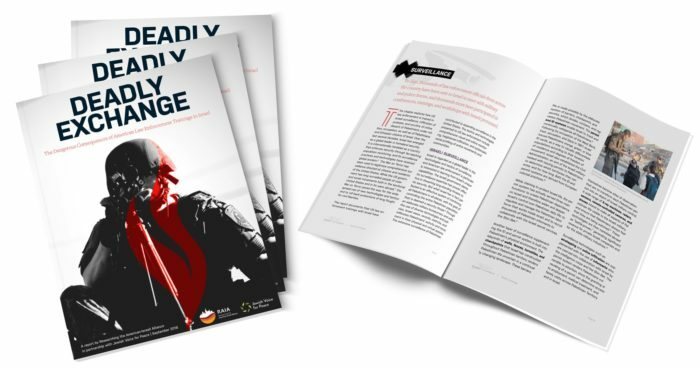 The latest newsletter from the Ramallah based group Addameer highlights the most salient issues and ongoing human rights violations for Palestinian political prisoners. The current newsletter linked here covers the time period of July through Sept. 2018. According to the Addameer statistics, as of the end of September 2018, there were 5640 Palestinian political prisoners, including 465 administrative detainees, 270 child detainees, 53 female prisoners and 5 Palestinian Legislative Committee (PLC) members. 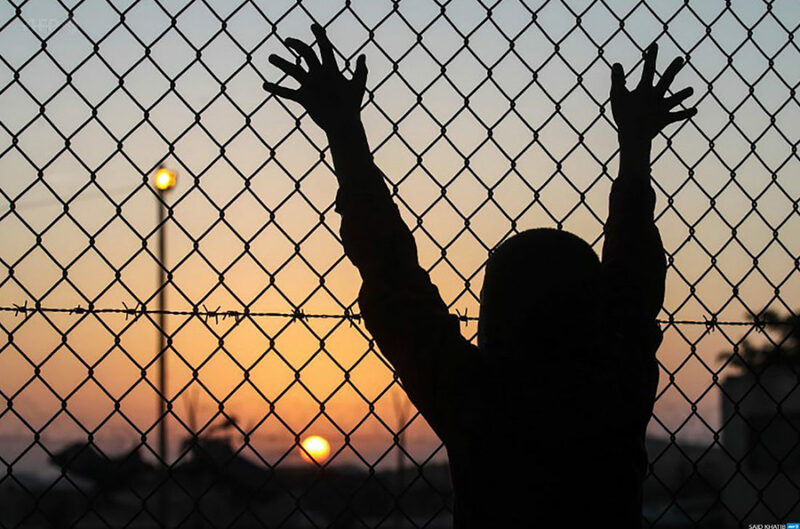 Violations of human rights include the ongoing mistreatment of child and women prisoners, denial of fair trials and legal representation, denial of family visits, and ongoing detention of human rights defenders. This newsletter highlights the cases of Khalida Jarrar, member of the PLC and one of Addameer’s legal coordinators, Ayman Nasser–both held under Administrative Detention, in violation of international law. Addameer’s newsletter also reports on the use of torture, child imprisonment, extra-judicial killings and special issues of Palestinian prisoners from Jerusalem. Addameer has put out a special ask on behalf of jailed PLC member Khalida Jarrar– On Oct 25, the Israeli military court extended (for the 4th time) Jarrar’s administrative detention for four more months–through Feb. 2019. On 25 October 2018, [Addameer] received word that Khalida Jarrar’s administrative detention order would be renewed for an additional four months. Her confirmation hearing will be held in the coming week. The new order is to extend her detainment by a further four months, meaning that it would expire 28 February 2019. This would mean that Khalida had been held in prison, without charge or trial, for 20 months as this is the fourth detention order for her. In the occupied Palestinian West Bank, the Israeli army is authorized to issue administrative detention orders against Palestinian civilians on the basis of Military Order 1651. This order empowers military commanders to detain an individual for up to six-month renewable periods if they have “reasonable grounds to presume that the security of the area or public security requires the detention.” This process can be continued indefinitely. Addameer believes Jarrar’s detention violates international fair trial standards since administrative detention orders are based on secret information. Therefore, her legal representatives are unable to fully address the prosecution’s argument, which asserts that Jarrar poses a security threat. Listed below are the contact details for the relevant decision makers. No matter what country you are from, if you have access to your representatives, please contact them directly about the issue. This doesn’t have to mean organize a protest or take to the streets. You can raise awareness about the issue with the showing of a film, a discussion panel, or even by setting up a stall at a local market. If you need any support with this, please don’t hesitate to contact us at info@addameer.ps. ICC Prosecutor calls plans to demolish Bedouin village a war crime. Prosecutor of the International Criminal Court Fatou Bensouda issued a stern warning to Israel officials on Wednesday, saying she will not “hesitate to take any appropriate action” should they demolish the Bedouin village of Khan al-Ahmar and forcibly transfer its residents. She called such plans a war crime. Many interrogated, detained, denied entry to Israel. Israeli authorities are defending a recent series of interrogations of left-wing activists at Israel’s airport and borders, saying the practice is necessary to prevent violence and terrorism. Dan Yakir, chief counsel for the Association for Civil Rights in Israel, a prominent civil rights advocate in Israel, called the government’s justification “shameful and dangerous” and said “Apparently, the Shin Bet believes that participation in a demonstration or a tour in the West Bank constitutes an existential threat to the State of Israel.” According to the Shin Bet, so far this year, 17 international activists have been denied entry to Israel for “activity associated with the extreme left” and 260 others have been denied entry for suspected terrorism and espionage. Alqasem permitted to enter Israel after weeks of detention. After weeks of detention (over alleged support for BDS) at Ben-Gurion Airport while enroute to her master’s degree program at Hebrew University in Jerusalem with a valid student visa, Palestinian-American student Lara Alqasem was finally permitted to enter Israel and begin her studies after Israel’s Supreme Court ordered the Interior Minister to allow her to enter the country. Alqasem’s attorneys successfully argued that Israel’s entry law (which prohibits “active BDS supporters” from being allowed entry to Israel) only applies to current, active activists, and that she had not been involved with any such organizations for over a year. She had previously been a chapter president of Students for Justice in Palestine. UNRWA cutbacks catastrophic on several levels in Lebanon. In Lebanon, UNRWA provides education to 37,000 Palestinian refugees from Lebanon and 5,500 from Syria. 27,000 people benefit from healthcare services and 61,000 from social assistance. In addition, UNRWA provides salaries that are often the sole source of income for extended families. The cutbacks on UNRWA funding are disastrous on many levels. Three options are open for the future: the best outcome would see the agency overcome its financial crisis with the support of the majority of UN member countries. Recent pledges from Germany, Spain and the United Kingdom, plus the Islamic Cooperation Organization’s decision to establish a ‘Waqf’ fund, support this scenario. A second possibility is that the American campaign against the agency continues, leading to the end of its mandate. If this happens, then the door is open to the third, most pessimistic scenario: UNRWA transferring its mission the UN Refugee Agency (UNHCR). The Lancet expands definition of mental health. Mirrors work of Dr. Eyad El-Serraj from Gaza.